Preventive measures and techniques that we can use to stop the effects of climate change. The natural causes that result in coastal destruction worldwide. The different strategies of coastal management. 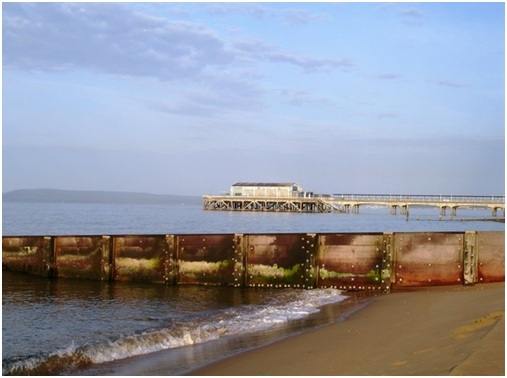 The importance of coastal management. Anyone who is paying attention to natural events is aware that there are many dangerous and terrifying problems occurring in our collective backyard. Most of these are a direct result of human abuse of the environment and the continuing issue of climate change. To that end, various environmental advocates and governments throughout the world are working toward saving our coastal areas. Not only are the lives of people living in those areas at risk, but so are those of future generations. The total destruction of the coasts is possible and it will have a major impact on the environment, compromising our food, safety, and all other natural resources. 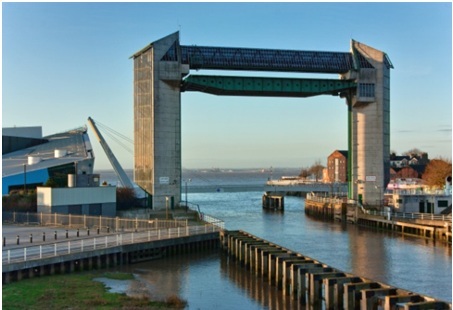 What are the main goals of coastal management? There are a lot of benefits that come from implementing coastal management strategies, including the reduction of floods, soil erosion, and destruction of coastal landscapes. For this reason, if global governments and environmental advocates will collaborate and implement these strategies at the same time, reversing the effects of coastal destruction is possible. However, if we ignore the effects of coastal erosion and the massive loss of sand that coastal areas are experiencing, all humans will be affected, not just those on the coasts. Survival is a big reason to care about coastal health, but it isn’t the only one. 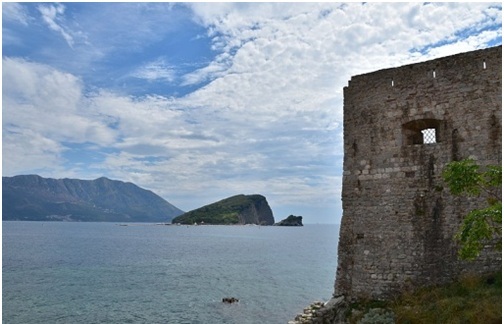 Successful coastal management can increase tourism. Who wouldn’t rather see a healthy beach with a massive amount of sand rather than a beach that looks dead? Also, tourists will be safer if giant waves don’t reach the shoreline. There will be a lower risk of accidents, especially for the tourists who are swimming, surfing, and doing other types of recreational sports in or near the water. In order to prevent the continuous destruction of our coastal areas, we need to follow specific strategies. The main issues that we face are the effects of erosion caused by the sea and the need for additional sand on our beaches. Some methods are expensive, but they should still be considered. 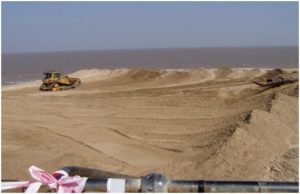 Sea Walls – this is an important technique to implement. 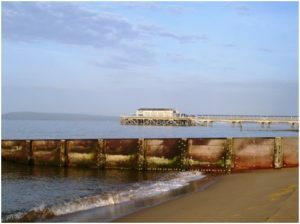 The sea waves are blocked by the walls, thus reducing the saturation of the land, which is the main cause of erosion. Wooden groynes – this technique involves the accumulation of large quantities of sand on beaches by hindering the motion of particles on a shore as a result of longshore drift. Metal groynes – is another strategy for gathering a substantial amount of sand on beaches by stopping the movement of particles on a shore. 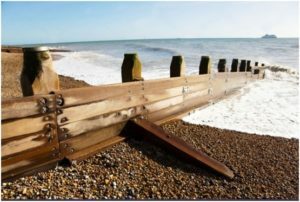 These are just like wooden groynes, but the materials that are used here are mainly steel, which makes them more durable but also means they are susceptible to rust. 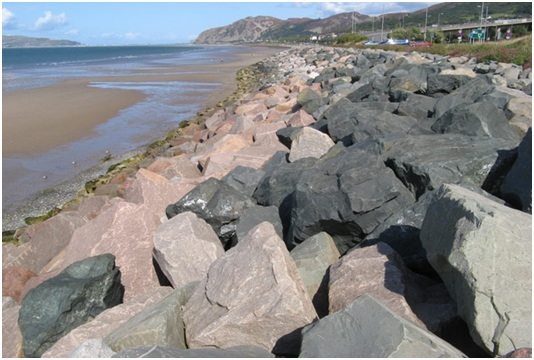 Rock Armour – large boulders – 10 tons or larger – are placed about the beach. 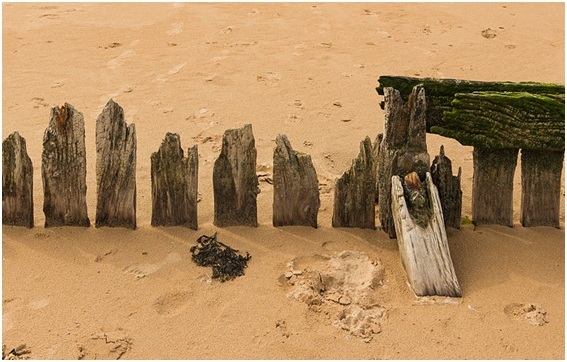 This is another technique for blocking waves from crashing upon the shore. 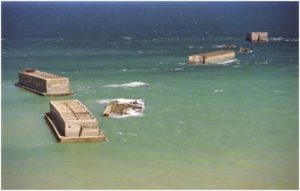 Breakwaters – concrete walls are built to deflect and shatter the encroaching waves. 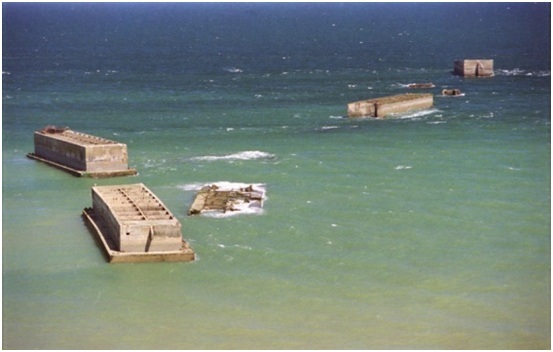 Breakwaters are generally quite efficient, however they aren’t always sturdy and can be broken during a strong storm. Tidal Barriers – prevents surges during a typhoon with the use of a floodgate. An extremely costly but effective method. Beach Replenishment – refilling the sand content of a specific beach. The sand is carried by trucks and can be brought in once a year. 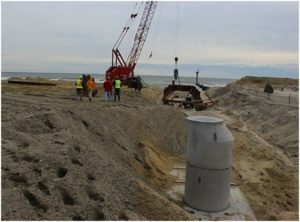 Land Management – programs are implemented for the reconstruction of dunes and the protection of coastal areas. Sand dunes are a good protective shield against floods and erosion. 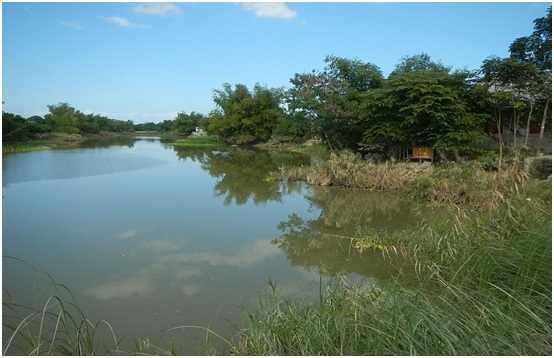 Marshland Creation – shatters the waves and lessens their agility while also reducing wave size, which is important for the prevention of floods. 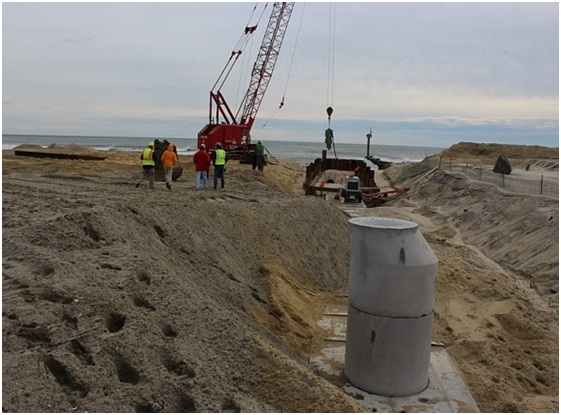 Beach Stabilization – places trees that are already dead underneath the sand to give it a more sturdy structure. These are some of the best options that we can utilize to manage our coastal areas. Each local governing body has to choose the option that best suits their coast, which depends on a few factors: the intensity of waves, the amount of sand currently on the shore, and how much of the budget the local government is willing to put toward these efforts. To conclude, coastal management involves the means by which groups are attempting to save our beaches from total destruction and possible extinction. Although some methods can be costly, coastal management provides an actionable and effective solution for securing valuable coastal property from destructive waves, a primary cause of coastal erosion. For instance, planting seaweed along coastal areas is a proven method for making the soil in beaches more stable and sturdy. Additionally, some methods also serve the double purpose of providing a defense against severe weather systems like tropical cyclones or hurricanes. We may, unfortunately, not be able to prevent climate change from continuing and causing sea levels to rise to a critical level that poses a risk to our coastal areas. However, we may still be able to minimize its effects by taking preventive steps for our environment now. Those steps include simple things like proper waste disposal, reducing air pollution, and planting trees.